If you like courses that are about real beauty rather than real estate (and who doesn’t? ), then you have to agree that we are in the midst of a very special period in the history of golf architecture. 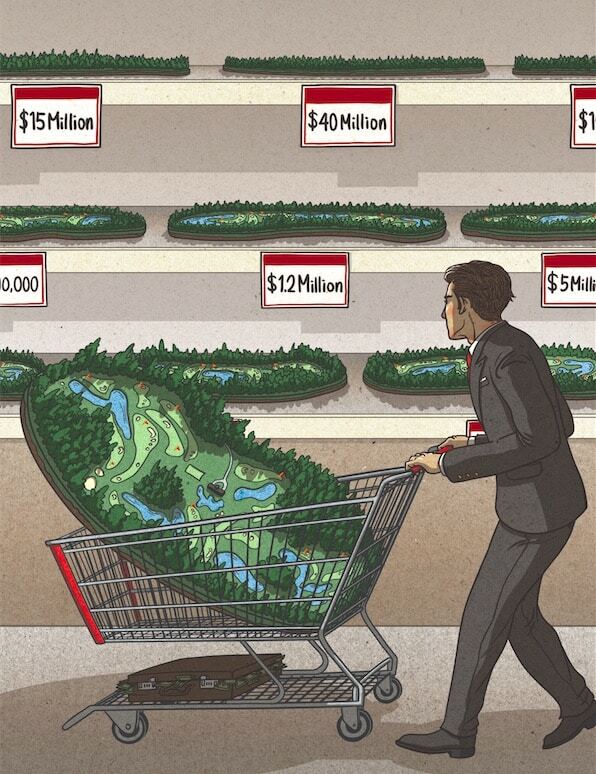 Gone, hopefully for good, are the days of large-scale developments anchored on courses whose sole purpose was to boost the prices of surrounding houses. Whatever the reasons—the economic disaster of 2007–2009, society’s ever-changing needs and tastes, a greater awareness of all things environmental—we have a far slower, but altogether better, flow of new course openings. There may not be as many courses opening today as during golf architecture’s so-called “Golden Age” of the 1920s, but those that debut tend to be on the much-better-than-average end of the scale and off the charts when it comes to “wow factor.” Furthermore, the 21st-Century Golden Age isn’t confined just to the U.S.; it’s a global phenomenon. 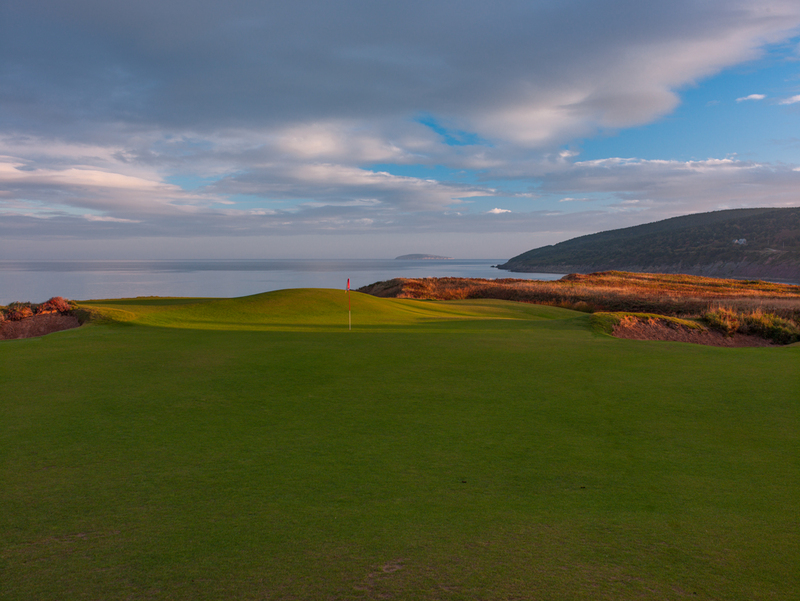 In the last few years, among the eye-popping courses that have opened are Cabot Links and Cabot Cliffs in Canada; Tara Iti in New Zealand; Cape Wickham and Ocean Dunes in Australia; South Cape Owners Club in Korea; Quivira and Diamante Dunes in Mexico; Lofoten Links in Norway; Ardfin in Scotland; West Cliffs in Portugal; and Streamsong, Gamble Sands, and Sand Valley in the U.S.
All the above were built on exceptional sites for golf. Some took more finding and clearing than others certainly, but once unearthed they made the designer’s job relatively easy… provided that designer was exceptionally talented, of course. Tara Iti, for instance, owned by Los Angeles-based financier Ric Kayne and located about 75 minutes north of Auckland on New Zealand’s North Island, took Tom Doak and associate Brian Slawnik a couple of years to clear and sculpt, but the sandy soil allowed them to create features and contours that look as if they’ve been there forever. Kyle Phillips’s South Cape Owners Club on Namhae Island off the south coast of Korea is an almost inconceivably beautiful and dramatic course with ocean views from all 18 holes. Thankfully, it is open to resort guests, though if you are there purely to play golf and don’t want to pay the rather exorbitant prices to stay in the “world’s most artistic healing place” with its “composition of multiple layers of superlife,” word is you can stay in the more basic hotel where the staff reside. In the middle of Florida, an hour and a half from Orlando in a non-descript sort of place no one would ever have imagined one half-decent course appearing let alone two (soon to be three) great ones, Coore/Crenshaw and Doak/Renaissance worked their magic on an old potash mine now deceased but providentially covered in hundreds of acres of glorious sand. Here at Streamsong, a mix of Red and Blue (the names of the courses they built) really does make gold. 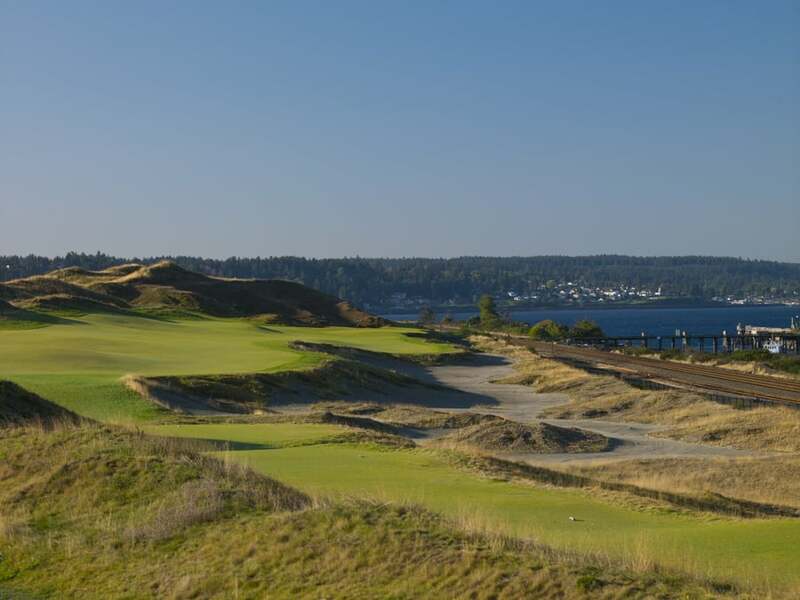 Bandon Dunes developer Mike Keiser found even more sand in another heretofore unlikely place for destination golf—near the tiny town of Nekoosa, smack in the middle of Wisconsin—and turned it into an inland version of his coastal Oregon dreamland. At Sand Valley, Coore and Crenshaw designed the first course, and David McLay Kidd is building the second, to be called Mammoth Dunes. On King Island, roughly 50 miles off the northeast Tasmanian coast, Mike DeVries and Australia’s Darius Oliver, a respected course consultant and author, created the splendid Cape Wickham Golf Club with 10 of the 18 holes overlooking Bass Strait, the 150-mile-wide channel dividing Tasmania from mainland Australia. 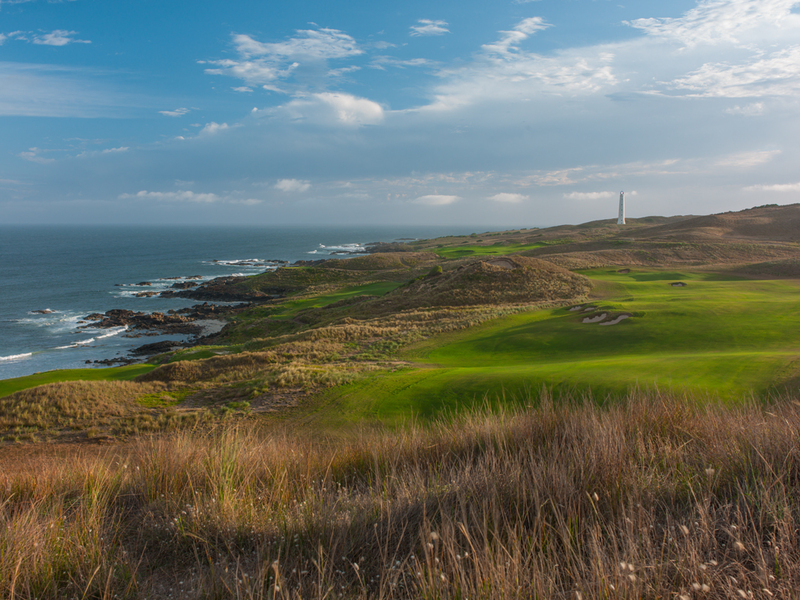 Cape Wickham is one of the handful of courses putting Tasmania on the golf map. 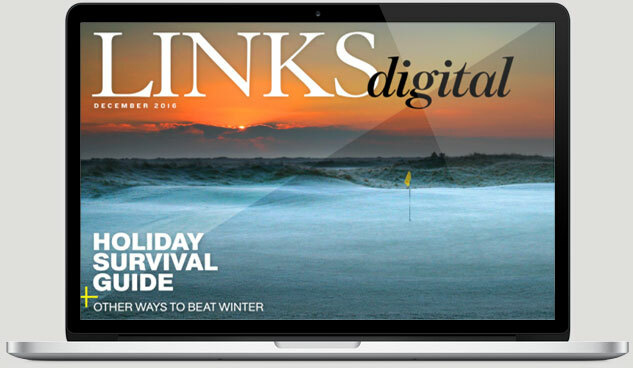 Doak set the ball rolling with Barnbougle Dunes in 2004 and Bill Coore followed up with Lost Farm six years later. In August, Australia’s largest daily paper, The Australian, reported that nearly 30,000 golfers had visited Tasmania during the previous 12 months—a 20 percent increase from the year before. It added that the state now boasted four of the top five public courses in the country (Barnbougle, Lost Farm, Cape Wickham, Ocean Dunes), and that five more were on the way. 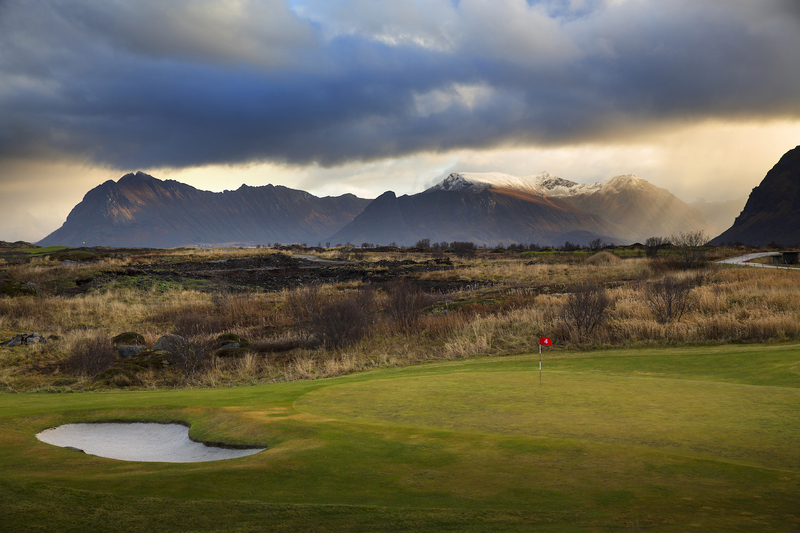 In Norway, tourism executive Frode Hov has developed the amazing Lofoten Links, designed by the UK’s Jeremy Turner. 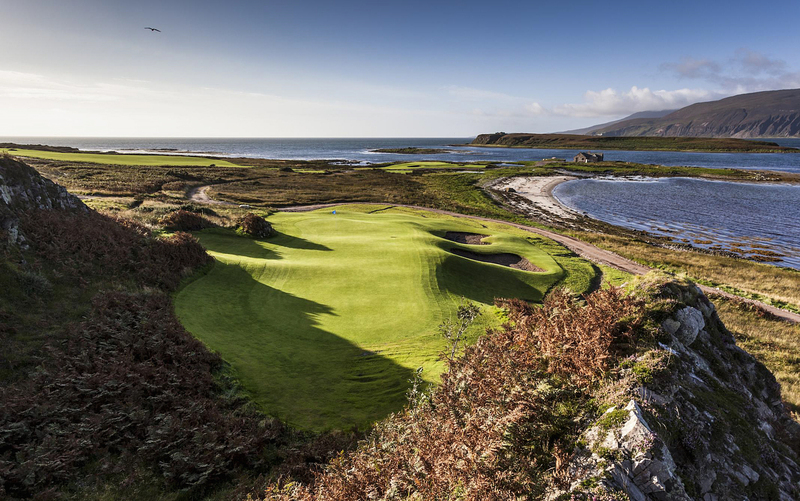 Cynthia Dye-McGarey (Pete’s niece) created the beautiful West Cliffs on Portugal’s Atlantic Coast for the West Cliffs Resort, and Bob Harrison built the dramatic Ardfin course on the Scottish island of Jura for Australian hedge-fund manager Greg Coffey. Design-wise, these courses benefit from having been created by a group of skillful and intelligent architects who are not only sensitive to their surroundings and Mother Nature, but also well aware of architecture’s history and what makes fun, interesting, and stimulating golf. Oliver agrees. “Quality and cost do not always go hand in hand,” he says. As for course type and business model, most were built either by wealthy individuals or corporations, and are predominantly resort/public with only a couple of ultra-private thrown in. “The best public golf is now better than the best private golf,” says Oliver.